YEREVAN (ArmRadio)–The Armenian National Archive published a three-volume book entitled “Armenian Genocide in the Ottoman Turkey: Testimonies of the Survivors.” The book presents eyewitness accounts of the Genocide, valuable archive documents, maps and photos. In 1916 the Baku Committee of the Armenian Revolutionary Federation set up a fact-finding team to collect information about the organization and perpetration of the massacre of the Armenian population in Western Armenia. The fact-finding team comprised of Zabel Yesayan, Stepan Zoryan, Vahan Totovents, General Andranik and others. All the documents have been included in the “Armenian Genocide in the Ottoman Turkey: Testimonies of the Survivors” published at the initiative of the Armenian National Archive and financed by Van non-governmental organization. “The fact that the eyewitness testimonies were collected just one year following the massacres ensures the authenticity and validity of the information, therefore strengthening their importance in the process of the comprehensive study of the Armenian Genocide,” editor-in-chief of the publication, Director of the Armenian National Archive Amatuni Virabyan told reportersWednesday. The publication presents the concereet programs and actions aimed at annihilation of the Armenian population, the real names of the organizers and perpetrators. Also, the archive documents tell about the material losses of the Armenian population, their self-defense struggle, the migration of survivors and the losses incurred on the way. The three-volume edition will be translated into Turkish, Russian and English. The proceeds from the sale will be spent on its translation. The electronic version of the publication will also be available. Ahead of the 100th anniversary of the Armenian Genocide the National Archive will publish another book, which will include thousands of documents on the economic losses the Armenian nation has uncured. 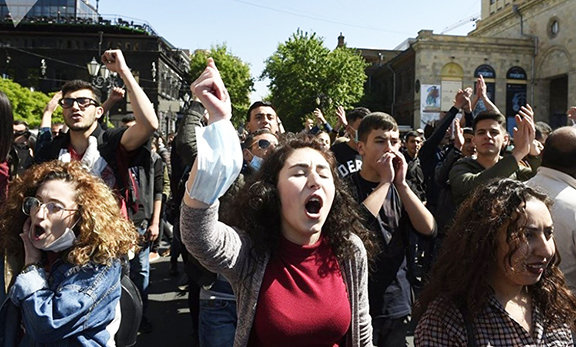 Armenia should begin the much belated process of claiming Western Armenia by denouncing the Turkish & Soviet Era Russian Treaties and the illegal occupation of Armenia by Turkey. @ the time of signing the Treaties with the Soviets, Turkey @ that time was NOT recognized as an official government by the world then, in the meantime Armenia’s 1st government WAS recognized!